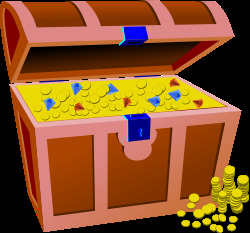 Easy Kids Indoor Treasure Hunt Party Clue Game #1, ages 5-9. Comes with ten (10) printable themed clues, simple and quick to set up, and fun to play. Perfect for children's parties & everyday fun. Only $7.99 Instant download. Easy Kids Indoor Treasure Hunt Party Clue Game #1, ages 5-9. Comes with ten (10) printable themed clues, simple and quick to set up, and fun to play. Perfect for children's parties, birthdays, holidays, & everyday fun. Only $7.99 Instant download. Props or pictures needed to play: Clues lead to a shoe, a lamp, a cup, a TV, a towel, an ice maker or ice cube tray, a book, a plant, a picture, and a pillow.